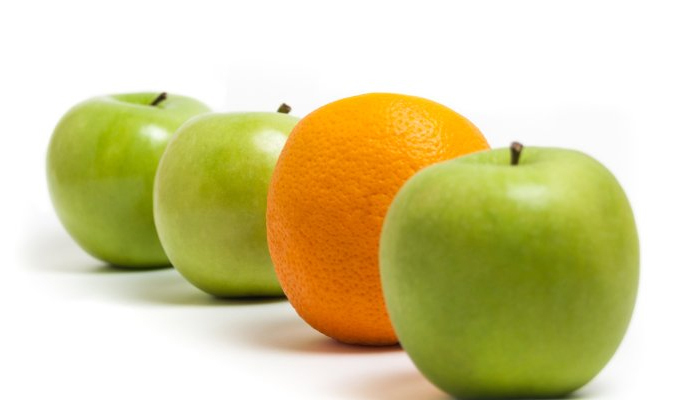 When looking to replace your continuous inkjet small character printer with thermal inkjet, the obvious question must be asked, “are all thermal inkjet coders the same?” Short answer is no. So what should one look for when evaluating a thermal inkjet coding system? Let’s start with the two most critical performance attributes that must be considered with thermal inkjet; throw distance and ink dry time. Thermal inkjet (TIJ) is an open nozzle printing system meaning, the nozzle orifices are open to atmosphere and there is no valve seal at the orifice to allow ink pressurization. Ink pressurization is what helps propel the ink drops with a longer throw distance from print head to target substrate. For this reason, thermal inkjet print heads propel the ink drops approximately half the distance or less of continuous inkjet (CIJ) small character printers. This is critical to understand because irregular or radial shape products require extended throw distance for optimum print quality. Thermal inkjet coders are well suited for inkjet coding flat substrate surfaces. Some examples of these substrates are product labels before they are applied, continuous plastic film/foil roll stock, closure lids and folding cartons. But even these substrates, without properly adjusted material handling, can test the TIJ throw distance performance. 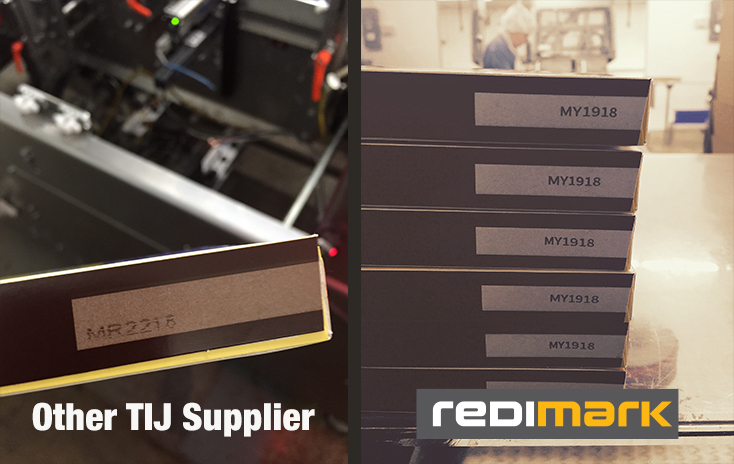 Redimark designed its TC12 product around Funai’s Bryce and Yellowstone TIJ cartridge technology that delivers twice the throw distance of the alternate competing TIJ technologies when compared to the same print speed. The Redimark TC12 operates at twice the speed when printing the same resolution and has twice the nozzle count for better printing reliability and durability. An example of the importance of increase in nozzle count and speed can be seen in the photo image below where the Redimark TC12 replaced a competing brand using an inferior TIJ thermal inkjet technology. A very notable improvement in print quality on a folding carton can be easily observed. Dry time is a critical requirement for Fast Moving Consumer Goods (FMCG) manufacturers, especially those that use non-porous packaging materials like metal, plastic, varnished coated paperboard, etc. In many cases, the FMCG product will come in contact with machine grippers, conveyor guide rails, adjacent products or line operator hands shortly after being inkjet coded. Having the printed code dry within 1 to 2 seconds is a must. Redimark selected its thermal inkjet cartridge print head based on its ability to use fast drying solvent inks that deliver the 1 to 2 seconds dry time while maintaining a long decap time (print idle time). 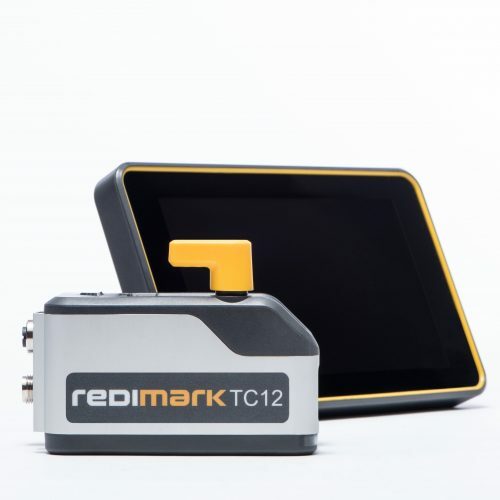 Many of Redimark’s competitors are unable to use fast drying solvents that the TC12 uses due to the design of the print head cartridge they use in their inkjet product. In many cases, the FMCG product will come in contact with machine grippers, conveyor guide rails, adjacent products or line operator hands shortly after being inkjet coded. Having the printed code dry within 1 to 2 seconds is a must. Thermal inkjet coders use a cartridge that contains a print head and ink reservoir. The cartridge design simplifies ink replenishment and eliminates the mess and complication that continuous inkjet coders are known for. When the ink needs to be replenished, a new print head is installed, resulting in the best possible print quality all of the time. Funai, located in Osaka, Japan has produced over 130 million small office home office (SOHO) inkjet printers over the last 16 years. Funai thermal inkjet technology originates from Lexmark International. Since the acquisition of Lexmark by Funai in 2013, Funai has invested heavily in new product development to maintain their technology leadership position in the industrial inkjet market. With twice the throw distance of other thermal inkjet coders, superior print quality and fast drying cartridge inks, the Redimark TC12 is the ideal thermal inkjet coder to replace your CIJ coder for marking and coding non-porous flat packaging materials. To learn more about the TC12, visit redimark.com.